A leopard print calf hair bag from danish brand Becksondergaard is another trendy touch to this comfy everyday look. This sweater is one of my favorite pieces for this Winter, with its thumb-hole gloved sleeves and a large and comfy high neck. I don't think orange is a Summer color, it's even more beautiful to wear during cold months. I played with my lipstick and nail polish in a similar shade. This is how I face cold Winter days: with a vitaminic attitude! What about you? Una borsa in cavallino a stampa leopardo del brand danese Becksondergaard è un altro tocco trendy per questo comodo look da giorno. Questo maglione è uno dei miei capi preferiti per questo inverno, con maniche dotate di fori da pollice da poter usare come guanti e il suo collo alto morbido e ampio. Non credo che l'arancio sia un colore adatto solo all'estate, è ancora più bello da indossare durante i mesi freddi. 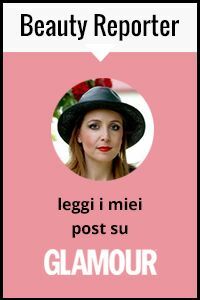 Ho abbinato anche il rossetto e lo smalto usando una tonalità simile. Così è come affronto i freddi mesi invernali: con un atteggiamento vitaminico! Voi che mi dite? That leopard and orange go so well together Vale. Your style always amazes me. That sweater is beautiful! I am obsessed with the colour and the length. I love how the orange pops against the black and leopard! Amazing look! You look so beautiful. This orange sweater combined with the trench coat and the leopard bag is a style I really dig. Keep it up! Dear Vale, yes, orange IS the new black! You look super cool in your combo with the stylish shoes! I wore a Orange suit a few weeks ago on the blog! I love the color combination and the Leopard you added! I love the orange with your leopard! You wear orange so well! Love it styled with the leopard and black! This orange sweater is a winner- and I love it with leopard! Love that look, nice and original sweater color choice ! Orange suits you so, so well! I love how you paired it with black for a contrast!